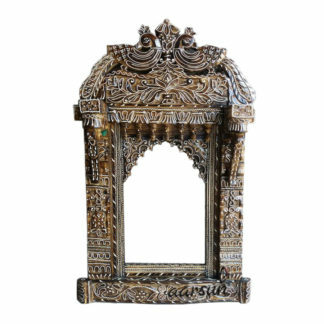 Aarsun Woods bring you beautifully hand-painted and hand-carved Traditional Rajasthani Style Jharokha in Solid Wood with Premium Finishing made by skilled artisans in Peacock Design. 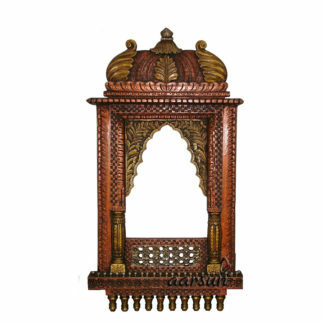 We have a wide range of designs available in Wooden Jharokha. The unit can be customized as per your requirement. 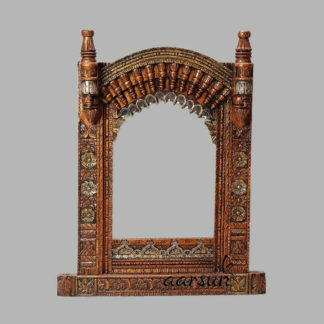 Wooden Jharokha are traditional Wooden Frames that can be used as Wall Decor , Mirror Frames or as Photo Frames. 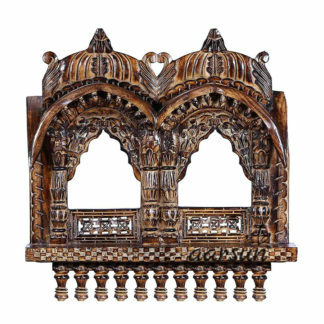 The unit made from Solid Wood with ethnic Rajasthani Carving all over. The Unit is Polished in Dual Shades Gold and Bronze . An elegant gift item suitable for all occasions. As the unit is a ready-to-ship design, the unit can be dispatched within 1-2 business days of order Confirmation. Please contact us at +91-8192999135 for more details.